With a cool breeze blowing today, one can really feel the winter chill creeping in, but nothing could put a damper on such a beautiful day on the ocean. we hit the water just after 10 and began our tour by slowly hugging the coast along to Uilenkraalsmond. 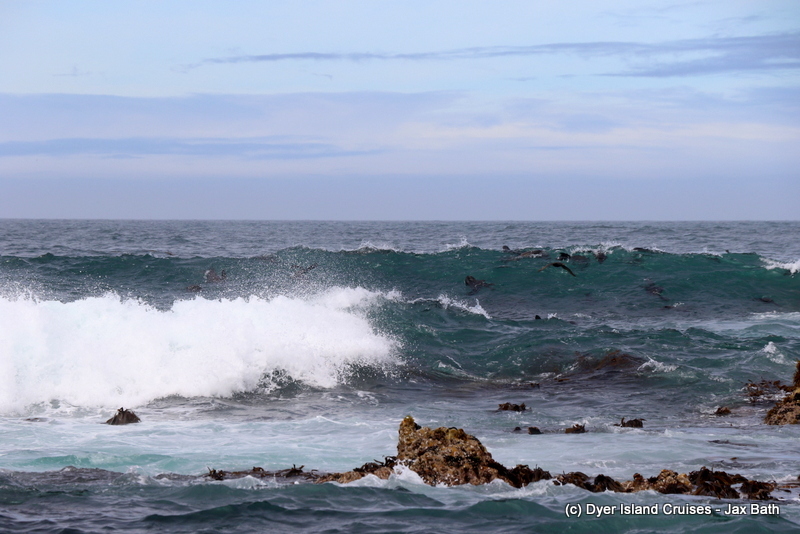 We took our usual stop here, taking in the scenery before spotting a fin in the water, this was none other than one of our Indian Ocean Humpback Dolphins, and by the speed at which it was moving, we knew this dolphin was on a mission. 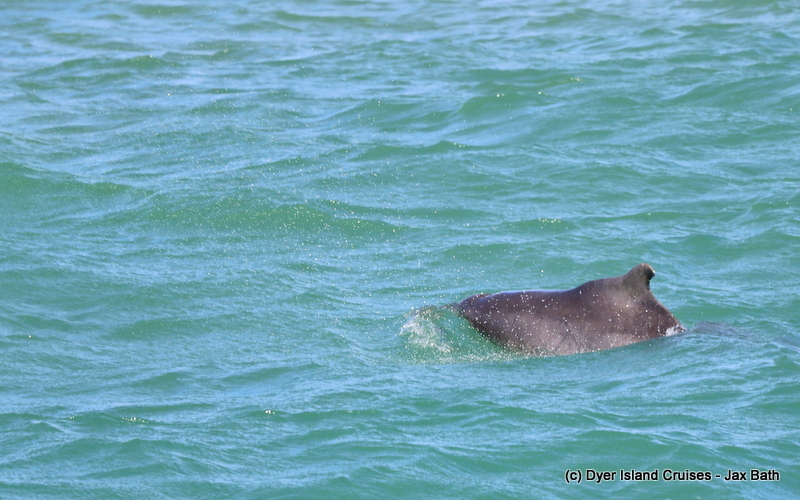 After observing this lone ranger for a while, it became clear that this dolphin had only one thing and its mind, and that was to grab a bite to eat. 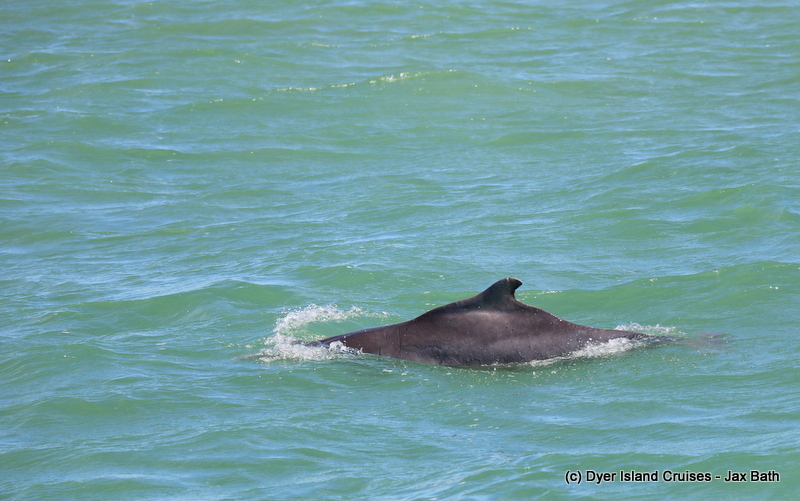 We spent a while watching as this dolphin went about its fishing, before making our way to Dyer Island. 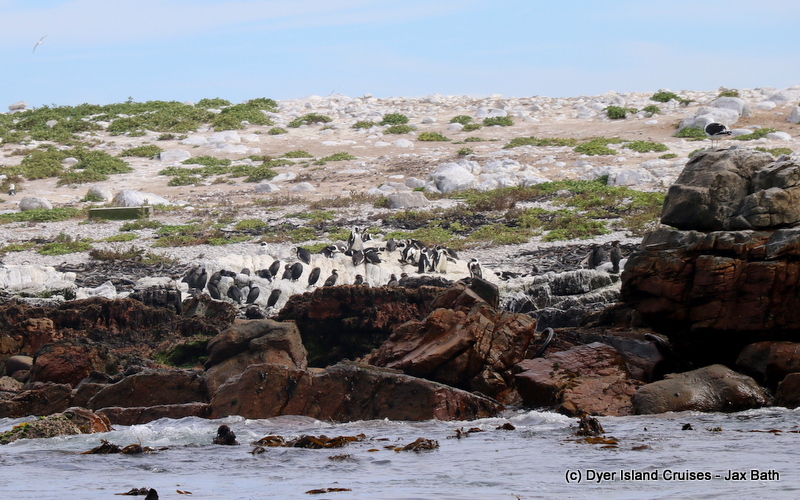 Along the way, we picked up a piece of kelp which we passed around before stopping in Sponge Bay, where we pointed up some African Penguins all huddled together on the rocks of Dyer Island. 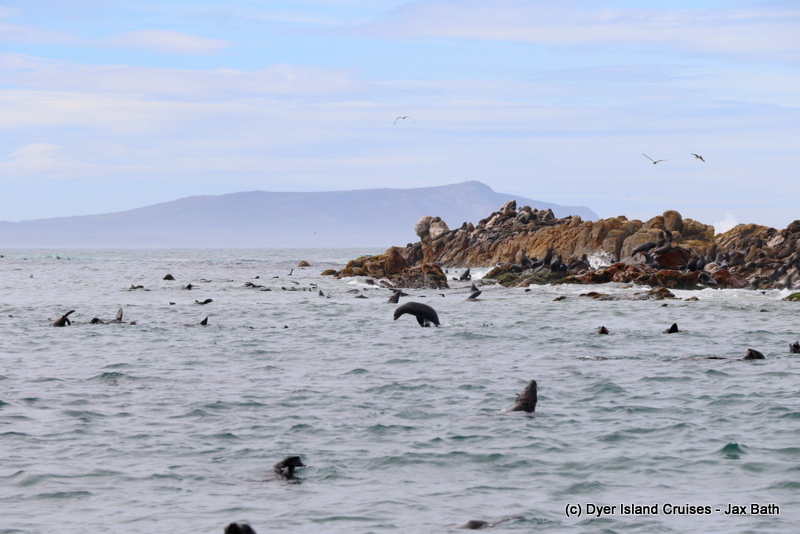 We also had a look at our Cape Cormorants and listened to the chorus of our Swift Terns before making our way out of Sponge Bay. We found ourselves in between our two islands next, where we had some scavengers waiting along the outskirts of Shark Alley. 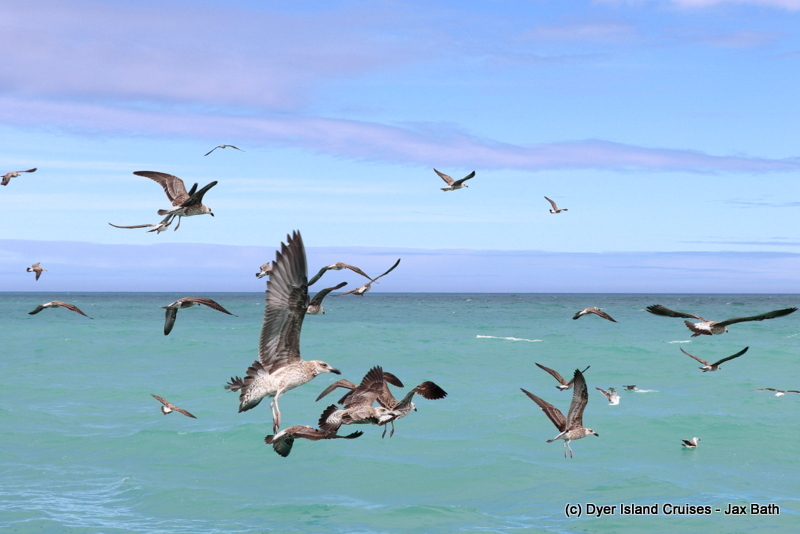 Around 8 Giant Petrels could be seen waiting, in the hopes of getting a seal pup for lunch. 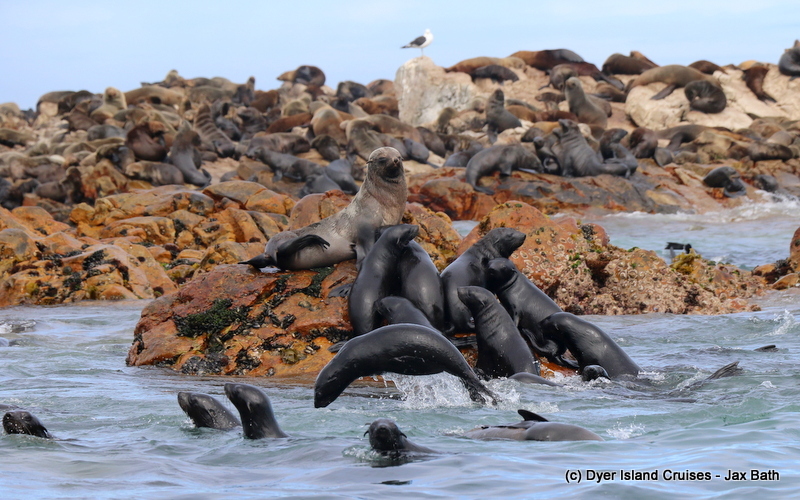 We then made our way closer to our seals and spent the next while moving up and down, taking in the sights, smells and sound of our ever-entertaining colony. 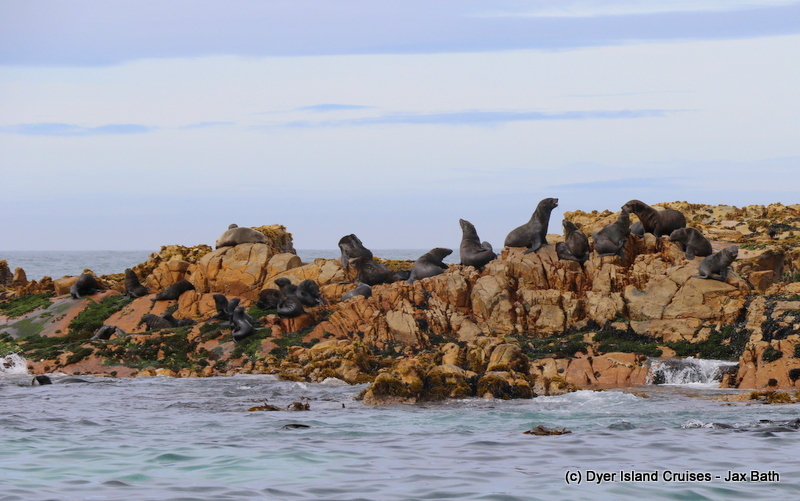 We had lots of pups in the water and lots of seals jumping about, which made for a memorable time here. We finished off our tour by making our way back over into The Shallows, where we caught a couple of sights of a juvenile Great White Shark approaching Slashfin. 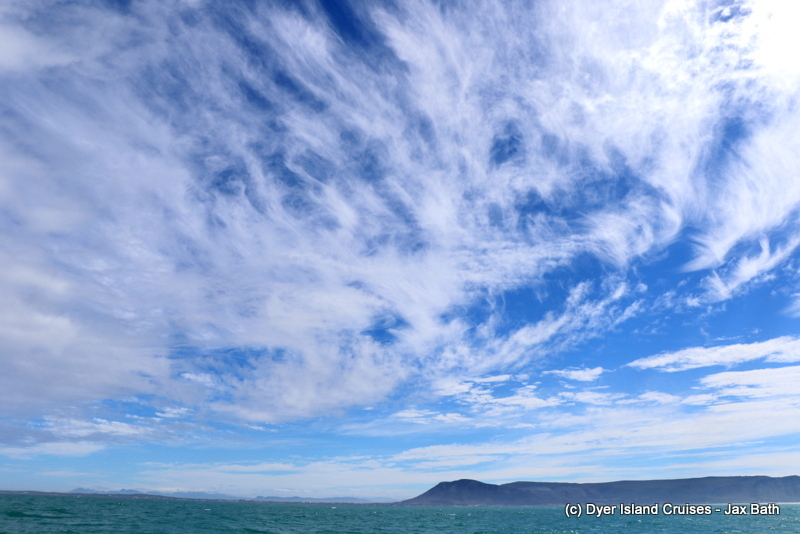 After watching this shark have a look at our sister company’s set up, we slowly made our way back into Kleinbaai harbor. 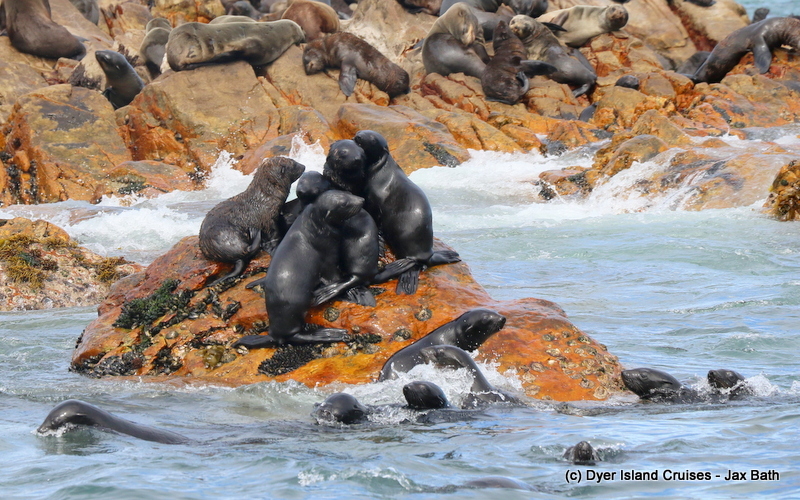 All the pups were trying to take a break on this rock, which made for loads of pushing and shoving. 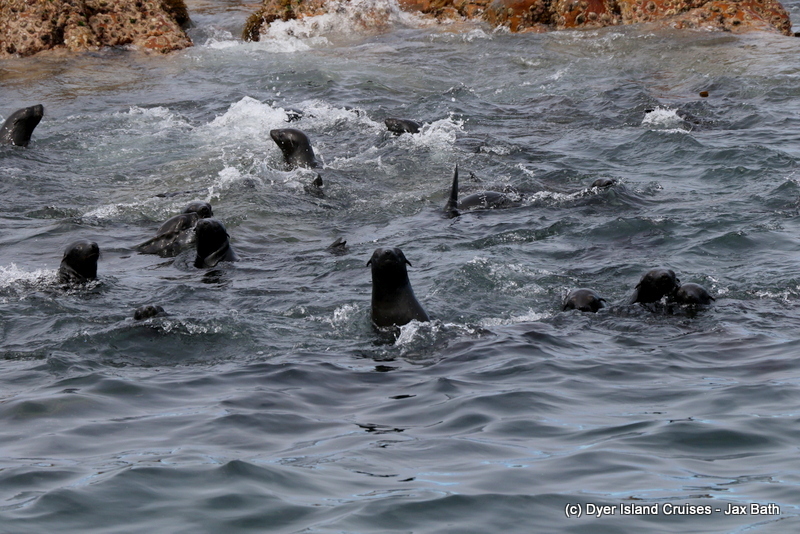 Seals surfing and enjoying the goodlife. An adult giving us some side eye. The next group takes a break. 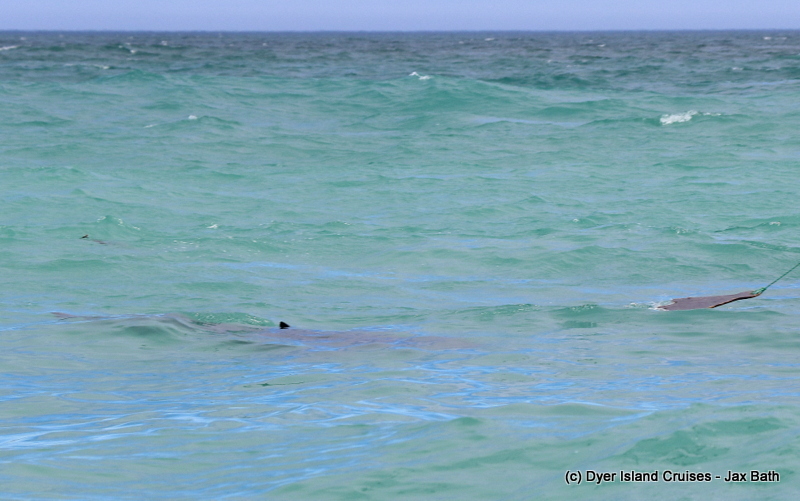 A Great White Shark travels just below the surface. 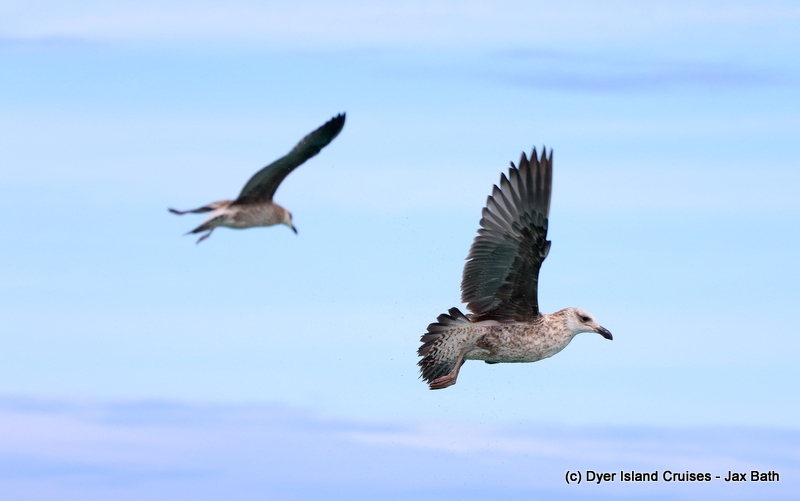 Kelp Gulls hovering, both are juveniles. 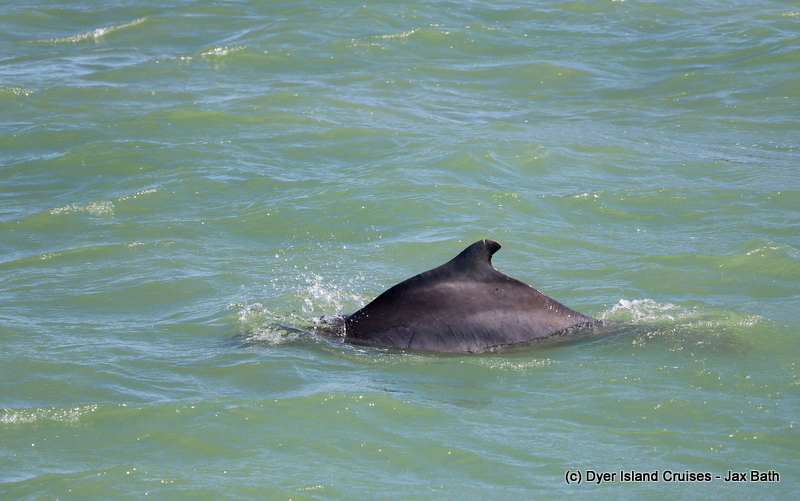 This dolphin appeared to be trying to catch brunch. 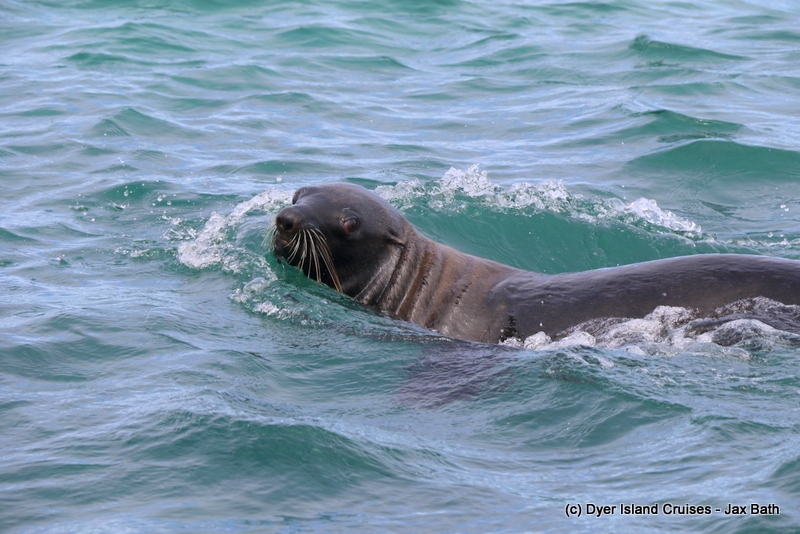 We had a lovey time watching this animal, who was taking long dives. 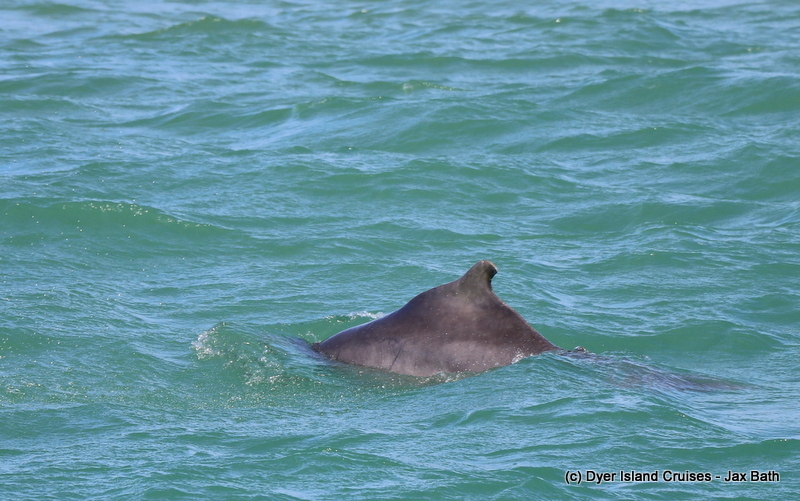 A side profile of today’s dolphin. 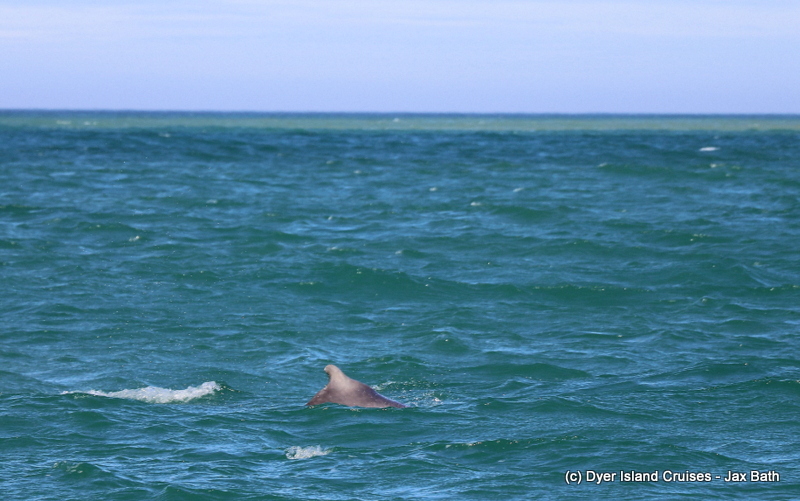 This dolphin gave us a few close views, popping up next to our vessel. 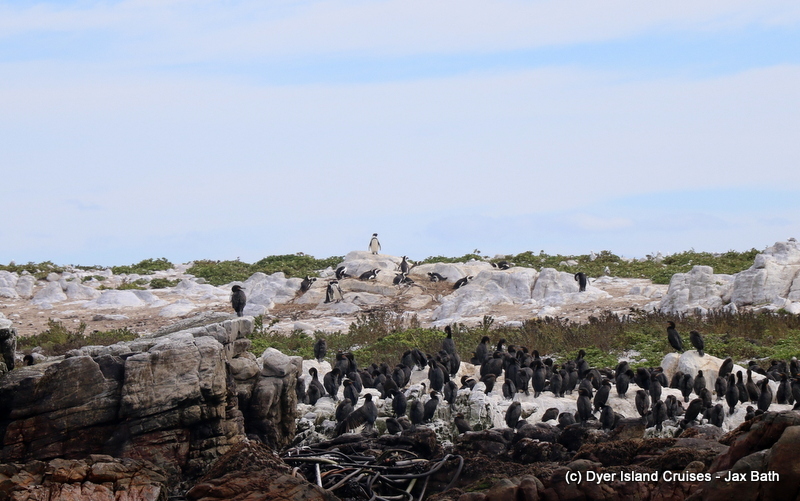 African Penguins sitting above the waterline. A couple of penguins at the skyline too. Beautiful light over at the seals. 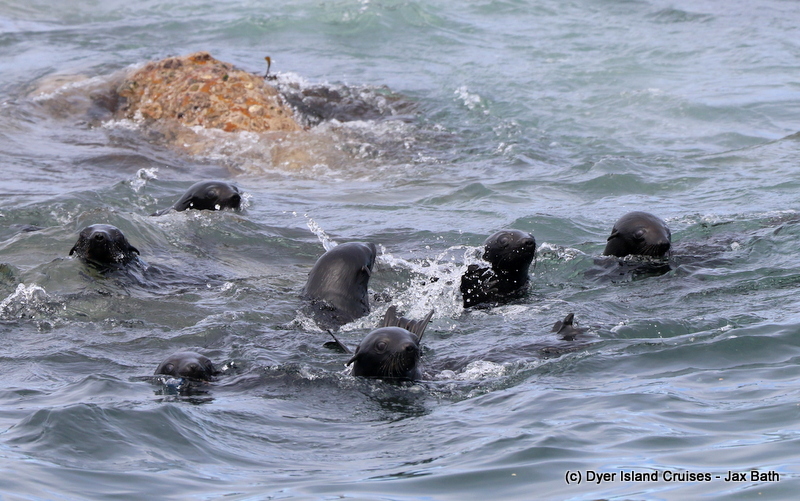 The seals were all super playful today. One of the most famous species of Cormorant in the Western Cape, the Cape Cormorant is well known for it's beautiful turquoise eye and impressive size.